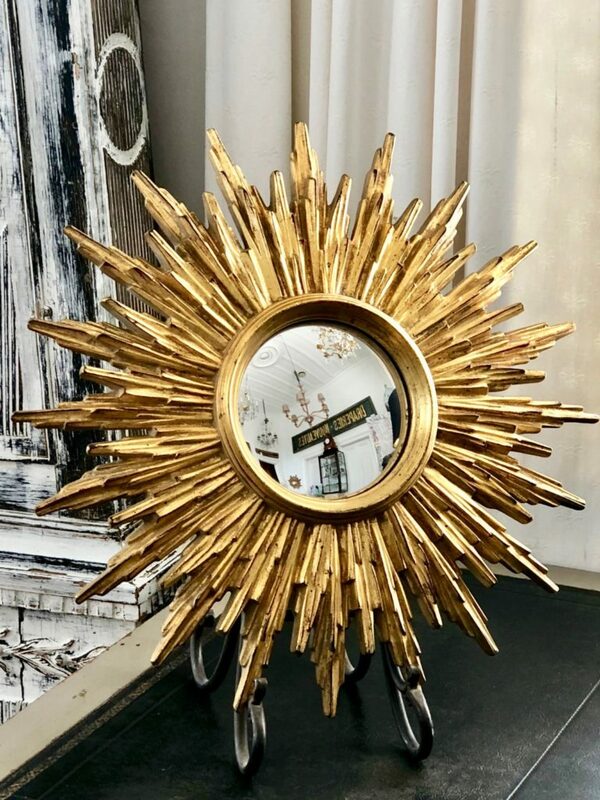 A Mid century Louis XVI style French giltwood sunburst mirror c.1950. 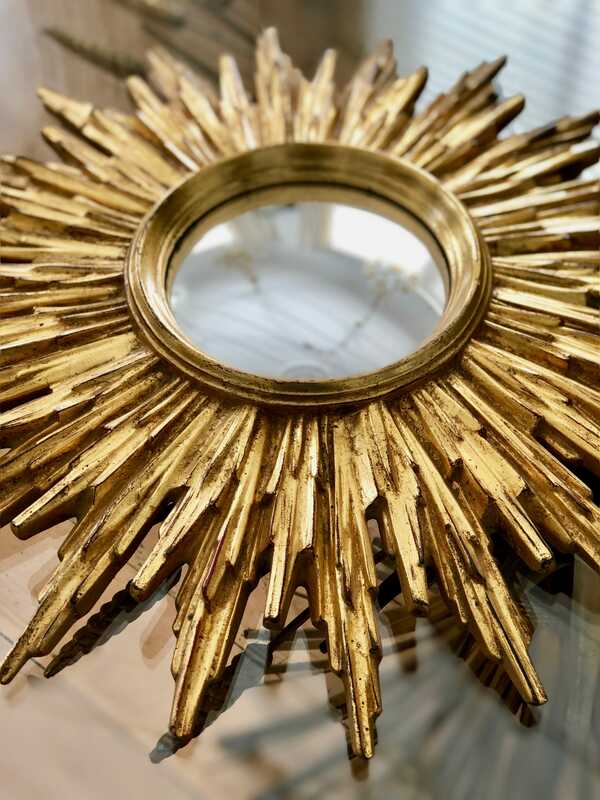 Known as the Sun King, Louis XIV chose the head of Apollo surrounded by rays of light as his personal emblem. 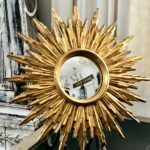 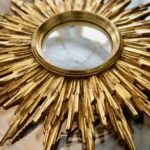 During his reign many pieces of furniture and architectural features were decorated with the sunburst motif.